Your favorite characters from Frozen are back with a brand new adventure, in our exciting game called Frozen Beauty Secrets! Anna has decided to spend some time pampering herself, so today you are going to join her at the Frozen salon, where you will be applying all sorts of beauty products that will make Anna look really pretty. Your guide throughout the day will the cute Olaf, and he will tell you exactly what you have to do in order to complete this fun task of yours. No preparation is complete unless the outfit she and Elsa will be wearing are perfect, so get started on mixing and matching the beautiful outfits until you find the perfect match. Anna and Elsa will be really grateful for your help in this amazing game called Frozen Beauty Secrets! 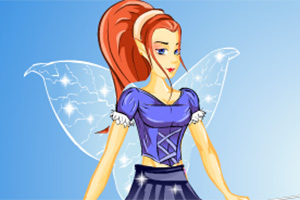 Играй в Frozen Beauty Secrets онлайн на Flash4U.pp.ru! Frozen Beauty Secrets - очень качественная и популярная флэш игра. Тысячи игроков уже сыграли в Frozen Beauty Secrets и им игра понравилась. Надеимся, что тебе игра понравится тоже. На Flash4U хранится много лучших онлайн игр и все они бесплатны для тебя. Если тебе нравится играть в няшную и классную игру, как Frozen Beauty Secrets, Flash4U - это твой лучший выбор! , игры про Малышку Хейзл, декорирование, одевалки, игры-макияж, игры с принцессами, игры с животными, игры-готовка и многие другие игры. Просто порадуй себя!